Urinating frequently. When you always have the feeling that you need to pee even just after you come out from the washroom. Never hold your urine whenever you feel the urge to go as these are surefire ways for stone formation. Repetitive urinary tract infections. Kidney stones can cause urinary tract infections. If you have a urinary tract infections, even once a year, you may need to do a kidney cleanse. Brown-colored, cloudy and foul-smelling urine. Dark colored urine or one that is cloudy and foul-smelling are indications that you desperately need a kidney cleanse before the condition gets worse. Find out more about how to read your urine color. Also read: Early signs of an impaired liver and what you can do. Some of the best known parsley juice health benefits include kidney cleansing and liver detoxification and this page has detailed instructions for both a recipe for juicing parsley and a detox parsley smoothie for this purpose. Importantly, despite its many health benefits, parsley juice should not be used in large amounts by pregnant women or those taking blood thinning medication. Parsley has a long history as a beneficial herb for the kidneys and both the fresh plant and dried parsley tea are often recommended for kidney infections or to help dissolve kidney stones. Here are some other natural remedies for kidney stones if you are suffering with this painful condition. Read the full health benefits of parsley. 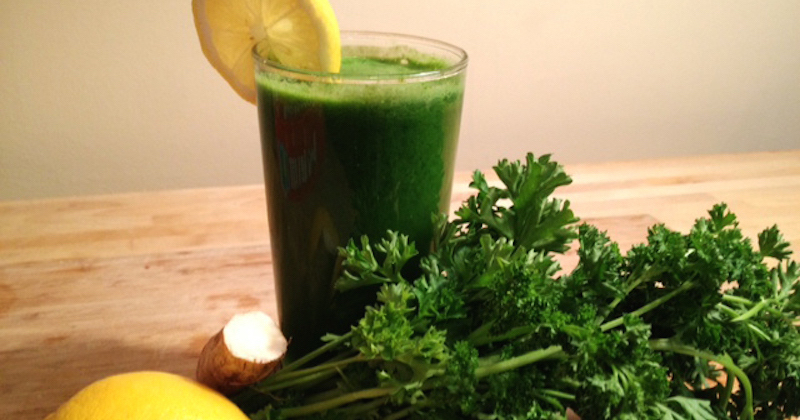 Celery juice strengthens the liver and kidneys and helps to eliminate toxins. 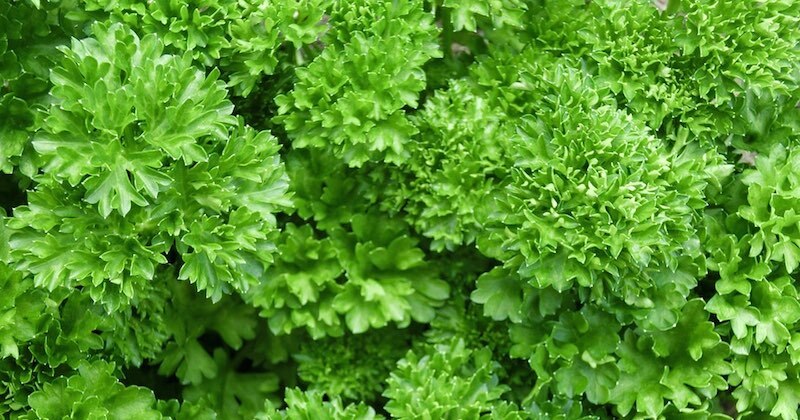 Unfortunately conventionally grown celery often has a high pesticide load so organic is definitely preferable. Use only organic always. Cucumber is a diuretic that can help flush uric acid out of the body and dissolve kidney stones. The skin is full of antioxidants but conventionally grown cucumbers have a significant pesticide load and are also usually coated with wax. If you can’t find organic cucumbers to juice you’d be better off peeling them. The two recipes below use different combinations of parsley and these ingredients for the juicer and the blender. Feel free to mix it up depending on what you have available. Or, for the ultimate parsley juice kidney cleanser and liver detox, first juice and then blend and combine all the ingredients together. While you could use a standard centrifugal juicer, unless it’s a particularly good one you often won’t get much juice out of even a whole bunch of parsley. In the past I’ve tried squeezing the parsley heads into a ball between two loads of carrots, but in the end I realized a proper masticating juicer just makes more sense. While they cost more initially, a masticating juicer is an essential item if you want to juice green superfoods like parsley, spinach or wheatgrass effectively. They also get far more out of regular fruit and veggies as well as keeping the heat and oxidation right down. This greatly improves both the quantity and quality of the juice they deliver. Use organic produce only to prevent further toxicity burden to the kidneys and liver. Push all of the ingredients through the juicer, alternating between the harder carrots and beetroot with the softer cucumber and celery. Scrunch the parsley up into a ball and feed it through between the harder vegetables. Once again, you will get much more parsley juice out of a masticating juicer than a centrifugal one. Cheap ones may struggle to chop it up, but a powerful blender, like this one I’ve been using for years, will turn parsley into an extremely healthy, dark green puree. As previously mentioned, parsley juice is quite potent. Given this, it’s not recommended to make it up for too many consecutive days. You could, however, make up the above recipes for up to a week-long juice cleanse and add parsley on every other day. After the first week of treatment a week off is generally suggested. If you would like to continue with using parsley juice for liver detoxification and kidney cleansing you can either make it up for longer cleanses, or alternatively just make it up a couple of times a week whenever you feel your body could use the boost. Do You Eat When Doing A Kidney And Liver Juice Cleanse? Most importantly, avoid foods that keep adding on toxins to your detox organs. Foods that are most harmful are: processed foods, flour and sugar products, dairy products, red meat, all vegetable oils, soda, alcohol and coffee. It is recommended to eat plenty of fruits and vegetables (organic is best) so that you don’t stay hungry. Drink plenty of water to help flush out the toxins while doing the cleanse. See this page to understand how much your body needs to stay hydrated, then drink more than that. Besides drinking juices and water, you may also drink herbal teas. Drinking dandelion root tea is best during this time of cleansing. One of the most powerful kidney-cleansing broth is one that uses celeriac as an ingredient. You can make and drink this broth 2 or 3 times during your cleansing week. Remember that the remedies listed above are not intended to replace medical care. If you’re experiencing a lot of pain from kidney problems, see your doctor immediately. The University of Chicago Kidney Stone book is an excellent reference and has dietary information on many foods. A number of the food items you have mentioned are actually quite high in oxalates and by my reading are to be avoided by people prone to oxalate type kidney stones, the most common type. Carrots, Celery and beet root are rated as very high on the list provided on the site https://kidneystones.uchicago.edu/how-to-eat-a-low-oxalate-diet/. Has this type of information been considered in these kidney cleanse recipes? The site recommends less than 100mg of oxalate. One half cup of beets is 76mg while one half cup of celery is 19mg and one half cup of carrots is 15 mg. It seems to me that the Parsley Juice Combo recipe would contain more than 100mg of oxalate. I really like your site and would be very interested to understand your take on this information. Hi Brian, thank you for your question. You are correct to say that people with a history of kidney stones should reduce consumption of foods high in oxalates. The true culprit, however, is not with the oxalates in food but rather the ingestion of manmade artificial “foods” and toxins that are causing excess of a variation of the “wrong type” of calcium that binds with oxalate to form kidney stones. In an ideal world of total clean-eating, oxalates don’t cause a problem. This recipe is specifically “formulated” this way to include lemon and apple cider vinegar that contain citric acid which dissolves calcium oxalate, thus preventing stone formation. This allows the other ingredients to work their nutrients to further help to dissolve stones and detoxify the liver. I’m sorry I don’t have the exact Science to explain this, I just know that it works!